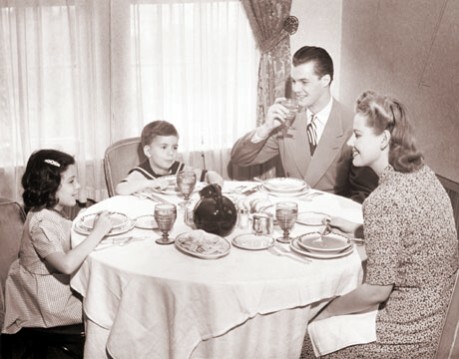 In 1950, the average mealtime in America lasted 90 minutes. Did you know that 60 years ago, the average mealtime in America lasted 90 minutes? Today: the average mealtime is 12 minutes. How long does your average family meal last? This is a fascinating stat and one I would like to reference, but I can't find the source to verify. Do you happen to know?